We didn't have a mobile in our travel-themed nursery. We couldn't find one that we really liked, and now the little one is too big for a mobile. 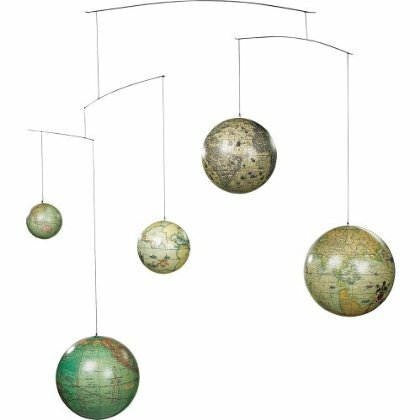 But had we seen this globe mobile or this Around the World mobile, it might have been a different story. Those are both great! I think they actually might be pretty cool hanging in a "big boy room." You find the coolest kid stuff.